The digital world is rapidly growing leveraging the Internet of things (IOT). With what IOT can provide of unprecedented insight and large data, it has become imperative for organization from all industries to rely on IOT for business transformation. However, dealing with the immense amount of data, handling security and having the right analytics demands a solid and high performance, intelligent IoT platform. While everybody understand the theory and many technology providers offer their own end to end solutions, implementing such solution with the right adoption towards digitization mandates a trusted partner to work side by side with your organization and with the diversified technology providers. 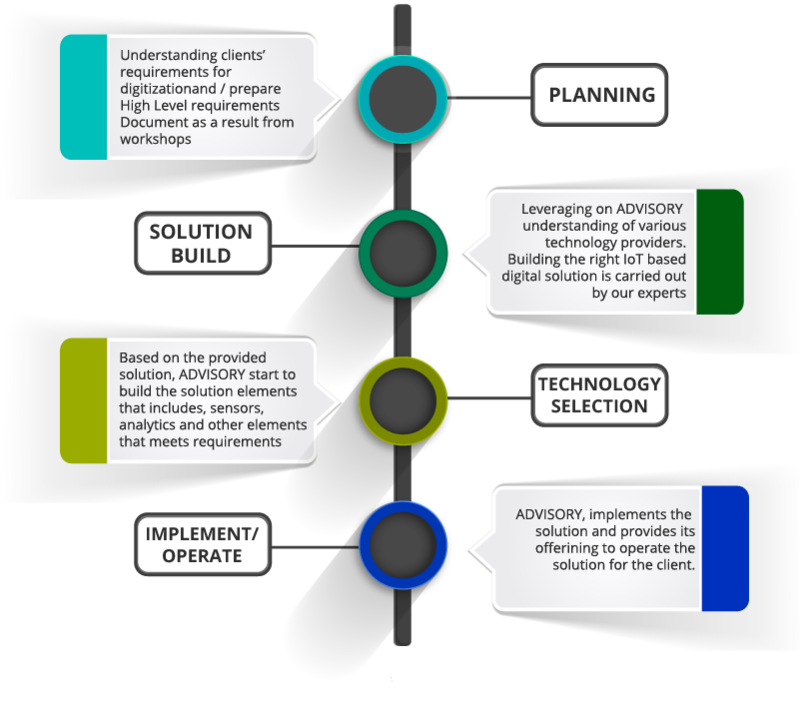 ADVISORY with its consulting capabilities, technology understanding and top experience subject matter experts will be your trusted partner to move into the digital world. Through each phase ADVISORY works close with both Client technical / management teams as well as Technology partners. With Planning phase at the start of the engagement cycle, ADVISORY ensure full understanding of the clients’ needs and directions for transformation, our expertise and partnership with the IOT technology providers covers all industries and enables us to be of a great consulting value to our clients. We aim through this engagement model to intensify our added value to ensure highest ROI to our clients nevertheless, we also offer support or fully operate the digital transformation projects as a managed services. According to Global Investment Research Division at Goldman Sach, the 1990s’ fixed Internet wave connected 1 billion users, while the 2000s’ mobile wave connected another 2 billion. “The IoT has the potential to connect 10X as many (28 billion) “things” to the Internet by 2020, ranging from bracelets to cars,” the report says. This will add value to industries totaling $14.4 trillion, according to Cisco forecasts cited at Forbes. The traditional revenue streams of telecom companies – depending on SIM cards and VoIP services are declining so fast. 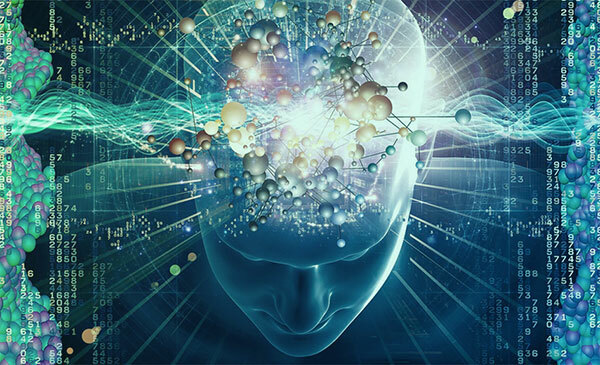 Companies are searching to expand diversify their revenue streams through machine to machine connectivity (IoT) services. Beside M2M connectivity, there will be so many opportunities for telecom companies to leverage. Innovation: Being the carrier and major hub for so many IoT devices and M2M commination, telecom companies can play a leading role as a research and development centers for innovations. Telecom companies will also benefit from such research and data in its marketing and consumers education about the benefits of M2M and analytics. Scalability: With the expected millions of IoT sensors to communicate and push data, the number of connected network nodes and amount of data are scary. Telecom companies need to cater for handling such scalability. Need to address security issues: Since security of information has been always a concern for the M2M communication, Telecom companies and equipment manufacturers need to put in place a secure model to relief the consumers from such fear.